Movies have always loved the military. 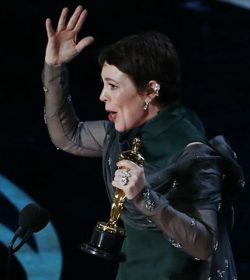 The elements that we instantly connect to the military, such as bravery, loyalty, brotherhood, heroism, selflessness, dedication, strength and courage, are ideal fodder for the Hollywood fantasy. And even though superhero movies have recently taken the lead in the heroism department, cinematically speaking, movies will always welcome military stories and characters. They are the most recognizable and often the most fallible of our heroes, which makes them the most realistic, the most human—and, because of that, the easiest to root for. If I asked you to stop and try to think of movies about the military or featuring military or ex-military as main characters, I guarantee you’d be busy for a while. I bring this up because the fact that the main characters in the new Netflix original film, Triple Frontier, are all ex-military is a key element of the movie. 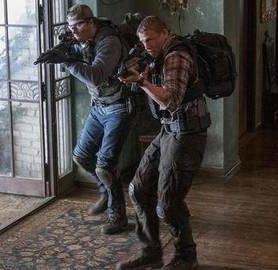 It’s about 5 former American Special Forces operatives who reunite for one more mission, which is as about as pre-written and as familiar a concept as a moviegoer could see. And while Triple Frontier certainly doesn’t shy away from any of your preconceived notions, it also, thankfully, doesn’t linger in them either. Directed by J.C. Chandor (A Most Violent Year) and written by Chandor and Mark Boal (The Hurt Locker, Zero Dark Thirty), Triple Frontier stars Oscar Isaac, Ben Affleck, Pedro Pascal, Charlie Hunnam and Garrett Hedlund as former members of an unidentified elite military strike team (SEALs? Special Forces?) who come back together when Isaac’s character enlists them to go after a brutal Mexican drug lord who happens to be sitting on a pile of cash. Boal has made a living creating characters with sometimes murky motivations, and the various forces that drive each of these characters to agree to the mission are not always clear or sensical, but it is impressive how quickly we get to know these characters in a short amount of time. It’s clear Chandor and Boal do not want to linger in exposition for too long. Nothing lingers too long in this movie, maybe because if you were given too much time to think about what’s going on, you’d realize how ludicrous some of it really is. Against the backdrop of Brexit, now may be the perfect time for movies to remind us that the British Isles have a long history of tumult and chaos within its borders. Now that there is widespread panic and confusion about what Great Britain may look and feel like in a post-Brexit Europe, it was not too long ago in Britain’s history that another political upheaval was taking place. But while Brexit is based on political manipulations, the civil unrest in Northern Ireland in the ‘70s and ‘80s, commonly known as “the Troubles,” were seeded in religion and love of country, two powerful forces which resulted in a terribly violent and chaotic chapter in Irish—and British—history. There have been many movies about or set against the backdrop of the Troubles, my personal favorite being Jim Sheridan’s 1993 gem, In the Name of the Father. Nominated for seven Oscars, including Best Picture, In the Name of the Father is about an Irish man wrongly convicted for an IRA bombing and the English lawyer who takes his case. Daniel Day-Lewis only made 20 movies in his career (he still claims to be retired now), and I consider this one of his best performances. In the Name of the Father spends a great deal of its time in the prison where Day-Lewis’s character was sent after his conviction. It’s not uncommon for movies about the Troubles to be set in a prison. 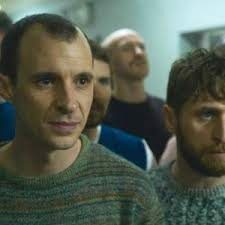 Hunger (2003), for example, which launched both director Steve McQueen and actor Michael Fassbender’s careers, is about the famous IRA hunger strike that took place at a Northern Ireland prison in 1981. And now there is a new film set two years later in that same prison. Maze is both the name of the movie and the name of the prison that, within the span of two years was the site of two watershed moments in the history of the Irish Revolution: the hunger strike (1981) and, in 1983, the most famous prison escape in British history, where 38 IRA prisoners managed to find a way out of the most famous prison in Europe. It is a compelling story that was overdue for telling, and the film is just as intriguing and dramatic as you would expect. I keep going back on my promise to quit superhero movies (or at least to quit reviewing them). I first broke my self-imposed moratorium with Black Panther last year and was rewarded mightily. Black Panther proved that not all superhero movies were going to be overly bombastic, mind-numbing testosterone fests, so I felt a bit better about making a new promise right then: only go to superhero movies that look interesting. 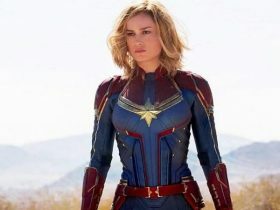 Which brings us to Captain Marvel. I’ll be totally honest with you. I had never even heard of Captain Marvel before. I’m not nor have I ever been a comic book person, but at least I had heard of characters such as Captain America, Thor, the Hulk and Spider Man. But this Captain Marvel was a complete unknown to me. And even though I enjoyed the heck out of Black Panther, the whole Avengers saga has been totally lost on me. I watched Avengers: Infinity War just because I wanted to be in on the conversation, but I found it to be another cookie-cutter piece of CGI brain noise. With the exception of Black Panther and the first Guardians of the Galaxy movie, I can truly take or leave the Avengers and all their iterations. But when it was announced that Marvel Studios was casting a woman to play the originally male titular superhero and Avenger Captain Marvel, I was intrigued. And when it was then announced that the woman who would play her would be Brie Larson, I was in. 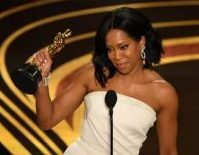 The 91st Academy Awards promised us a train wreck but gave us—for the most part—a pretty good ride instead. Here’s my recap of the moments I remember the most, good and bad. movies, so these montages which celebrate the past year in film always give me goosebumps. And then, with the first presenters, I could feel the show back to steaming full speed ahead. Maya Rudolph, Amy Poehler and Tina Fey arrived to present the first award, but, before they did, they essentially delivered a host-type monologue and it was fantastic. It’s rare enough to have a sequel be as good or better than the original, but for a movie to actually have two sequels that are worthwhile is rarer still. When the original How to Train Your Dragon film came out in 2010, it was a huge hit, and a critical success (98% on Rotten Tomatoes). Then, when the sequel came out in 2014, all of those who loved the first were naturally skeptical and nervous—usually these endeavors end up being pure money grabs lacking any creativity or ingenuity—but, lo and behold, the sequel did almost as well at the box office and with reviewers, still cracking the coveted 90% mark on Rotten Tomatoes (final rating on RT was 92%). There were many fans of these movies that felt it still never got the love it deserved though, playing second fiddle to the bigger, more marketed and flashier Pixar and Disney animated movies of the last 10 years. 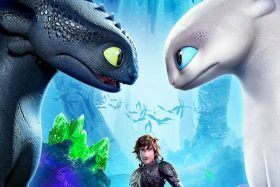 Well, now maybe with the final movie in what can now officially be called a trilogy, How to Train Your Dragon: The Hidden World may finally bring the much-beloved films some much-deserved attention. Let’s not continue to ignore these wonderful films the way we are ignoring the similarly excellent Paddington movies. Oscar season comes at you so fast, it’s impossible to see everything during the two month window at the end of the year. Because of this, I usually need January and February to catch up on some that I missed, and this year has been no different. I recently finally got to seeing two critically-acclaimed movies that I had missed, both nominated for Oscars: Free Solo (nominated for Best Documentary Feature) and Cold War (nominated for Best Foreign Film, Best Cinematography and Best Director). Here are my thoughts on each. “Free solo” is a rock climbing term that defines a climb that is done without any safety ropes or harnesses. It literally means man vs. mountain and it is the most dangerous and difficult way to climb anything, let alone one of the most challenging rocks in the world. 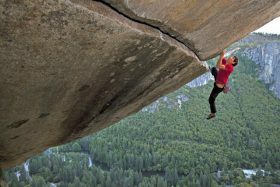 The film Free Solo chronicles the attempt by world-famous American rock climber Alex Honnold to free solo El Capitan in Yosemite National Park, which would make him the first and only person to ever do so. If you’re thinking this is a National Geographic-type movie that is all about man vs. nature, you’re right. But what totally shocked me is how much more there is to it. It is a psychological study, a celebration of life, an homage to Earth’s beauty and power, but, more than anything, it is an riveting story that grabs you from the beginning and takes you on a harrowing but incredible journey that competes with any of the dramas created in Hollywood. I’ve always envied the people who were lucky enough to see the original Star Wars in the theatre when it was first released in 1977. What it must have been like to experience it for the first time, as a blank slate, to be blown away by the inventiveness , the entirely new universe that George Lucas created, not to mention the special effects and other technological cinematic breakthroughs it heralded. It was a watershed film in the history of cinema, a touchstone in time for the medium and the business. And to have been someone lucky enough to have experienced it first-hand—well, that’s a feeling I’ve always longed for. Well, last night I came pretty close to it. The new animated feature, Spider Man: Into the Spider-Verse is—and let me make sure to say this exactly the way I mean to—LIKE NO OTHER MOVIE YOU HAVE EVER SEEN. It may not herald a new technology, but what it does do is use existing technologies in ways I’ve never seen before. 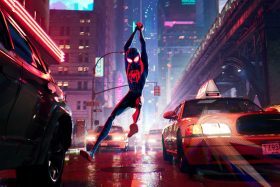 If you think movies are stale and tired and that nobody does anything new anymore, I beg you to see Spider Man: Into the Spider-Verse and tell me if you still feel the same way.